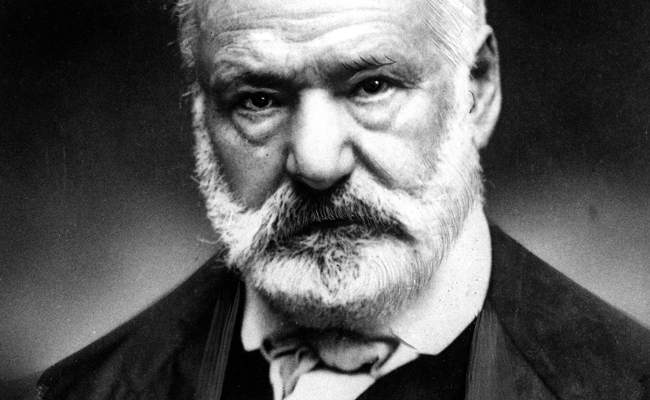 Victor Hugo (1802-1885) was a French poet, novelist, and dramatist of the Romantic movement. He is considered one of the greatest and best-known French writers. Outside France, his best-known works are the novels The Hunchback of Notre-Dame (1831) and Les Misérables, (1862). Beginning in 1815 and culminating in the 1832 June Rebellion in Paris, Les Misérables novel follows the lives and interactions of several characters, particularly the struggles of ex-convict Jean Valjean and his experience of redemption. Examining the nature of law and grace, the novel elaborates upon the history of France, the architecture and urban design of Paris, politics, moral philosophy, antimonarchism, justice, religion, and the types and nature of romantic and familial love.In France, Hugo is known primarily for his poetry collections, such as Les Contemplations (The Contemplations) and La Légende des siècles (The Legend of the Ages). He produced more than 4,000 drawings and also campaigned for social causes such as the abolition of capital punishment.